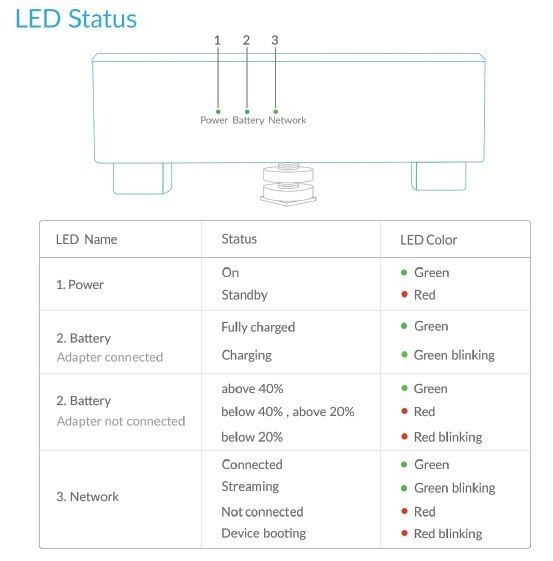 What do the LED Lights on the Freedocast Pro Device represent? How can I control my Freedocast Pro Device? 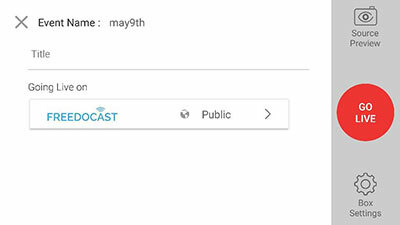 Box ID is a six-digit alpha-numeric code visible at the back of Freedocast Pro Device as shown below. This is required to pair the Freedocast Pro Device to your Freedocast account. 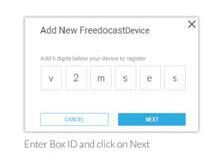 Pairing ID is a 4 digit code provided when Freedocast Pro Device is added to your Freedocast account. 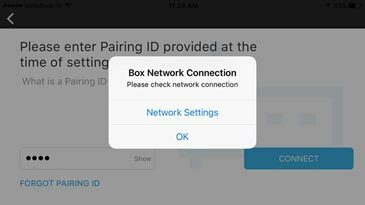 Anyone with your pairing ID can connect to your Device. Share it discreetly. How to add Freedocast Pro Device to Freedocast account and get Pairing ID? Login to your Freedocast account at www.freedocast.com. Pairing ID for the added device is sent to your registered email id. How much time does it take for Device to be discoverable after switched ON? 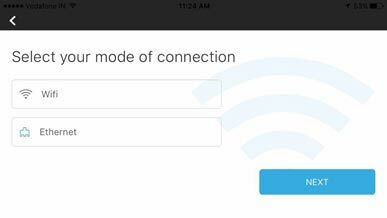 You need to ensure both your Freedocast Device and mobile are connected to the same Wi-Fi network. Follow below steps to troubleshoot. Check if your mobile is in Freedocast Pro Device Bluetooth range. If still not discovered Freedocast Pro Device reboot your Device & Mobile to try again. How to Go Live through Freedocast Pro Device? Connect video source to the Freedocast Pro Device through HDMI cable. Connect to the Device via App. *Facebook Live can only be simultaneously streamed with Freedocast due to Facebook restrictions. Due to Facebook Terms of Service restrictions, it is not possible to use Facebook Live and Add a Custom Destination at the same time. How do I stop streaming? You can stop streaming from Freedocast Pro App by tapping the 'Stop Live' button. How do I Unregister a device? Log in to your Freedocast account on web and go to device management page. Select 'Unregister Device'. Click on 'Unregister'. The device is now Unregistered from your account. You will now be able to add the device to any other account. How do I add Freedocast device associated with my account to another account? Unregister Freedocast device with your account by following steps at How do I Unregister a device?. 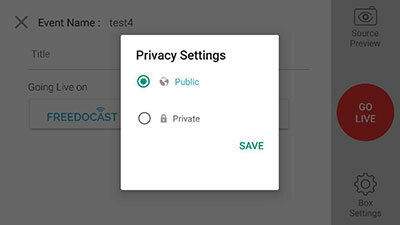 Now add the device to new Freedocast account by following steps at How to add Freedocast Pro Device to Freedocast account and get Pairing ID? IP IN allows you to capture Video feed through URL. How do I connect Freedocast Pro Device to Captive Portal to use Wi-Fi for internet? A captive portal is a Web page that the user of a public-access network must view and login before access is granted. Captive portals are typically used by business centers, educational institutes, airports, hotel lobbies, coffee shops, and other venues that offer free Wi-Fi hot spots for Internet users. Now connect Freedocast Pro Device to external Monitor via HDMI out. How will I receive update to Device firmware and application software? When firmware update is available the update is shown in Freedocast Pro App when the App is connected to the Device. After the firmware update is downloaded and installed the device is rebooted. If you are unable to connect to the Device through Freedocast Pro App after the update is installed, you may need to reboot the Device manually again. When application software update is available the update is shown in Freedocast Pro App when the App is connected to the Device. When the application software is downloaded and updated the Device reboots. You may have the option to skip the update or update later. However, we strongly recommend to update for better broadcasting experience and take advantage of the enhancements. If you are unable to connect to the Device through Freedocast Pro App after the update is installed, you may need to reboot the Device manually again. Why am I unable to create events after logging to Freedocast.com? How do I start a Live broadcast through Freedocast Platform? 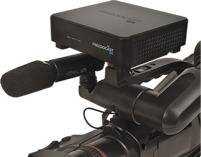 Keep your external encoder device or software ready which broadcasts live video. Login to your Freedocast account at freedocast.com & go to events page. Create a new event if the event is not created already by following steps in How do I create an event? Click on button and then select 'GET URL' which will show a pop up with RTMP Stream URL & Stream Key. Start live streaming from the external encoder. The broadcast will be Live in the event whose Stream Key is provided to the external encoder. How to broadcast live Simultaneously to multiple platforms through Freedocast Platform? 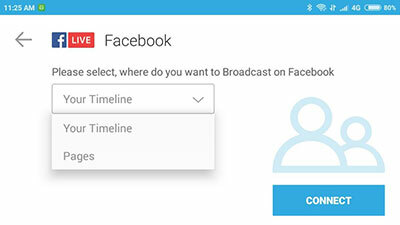 4.1 How do I Broadcast to Facebook Live through Freedocast Platform? Follow the steps in (i) to (vi) mentioned in point 3. How do I start a Live broadcast through Freedocast Platform? Login to your Facebook account and provide necessary permissions. You will be logged into your Facebook account as shown below. Choose where you will 'Stream to', like your personal Timeline or a page that you manage as admin. Click on 'SAVE & CLOSE'. To Stream to another page, click on settings icon as shown below. Select page or profile. To change Facebook account, click on Delete icon and login again with Facebook credentials. * Facebook Live can only be simultaneously streamed with Freedocast due to Facebook restrictions. Due to Facebook Terms of Service restrictions, it is not possible to use Facebook Live and Add a Custom Destination at the same time. * The content broadcast must adhere to Facebook policies. Please visit their website for more information. 4.2 How do I Broadcast to YouTube Live* through Freedocast Platform? 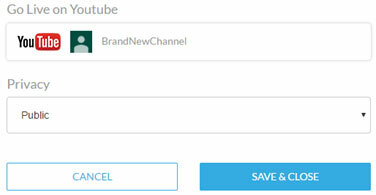 Login to your YouTube Account and select 'Channel' where you want to Stream Live. Give permissions to access your account wherever necessary. 4.3 How do I Broadcast to Periscope through Freedocast Platform? Click on 'Add' in 'Add custom destination'. Alternately, on web, click on your avatar and select 'Producer'. 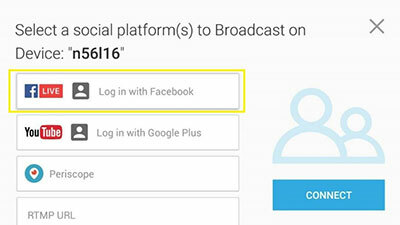 Enter the Platform Name, Server URL & Stream Name/Key of the destination where you want to Broadcast Live & Click 'SAVE & CLOSE'. Note: Some streaming destinations include Stream Key at the end of the RTMP URL instead of providing them separately. If you are not sure, you should contact your provider for clarification. How can I broadcast live video to my website directly? To broadcast live videos to your website Freedocast Premium Plan has to be subscribed. After starting the event live go to Events page and select the videos button in the Event. Click on three dots of the video to get Share option. Select Embed URL. Copy the Embed URL and add to your website. Why my Facebook Live is suddenly stopped even though Live streaming is in progress? Your Live video might have violated Facebook policies. Repeated violation may restrict your Facebook account for further Live broadcasting also. I am unable to stream to Facebook Live? Live video is not streamed to destination through 'Add custom destination' option? Check the Server URL & Stream Key entered are correct as given in the destination. What is Adaptive Bitrate Streaming (ABR)/Multi Bitrate Streaming? Multi Bitrate Streaming helps to improve viewer's experience by enabling you to deliver videos with the resolution and bit rate that best matches the viewer's connection speed. When I go Live, the stream on my channel is some seconds delayed? When you start the broadcast the stream comes to your channel few seconds later, depending on your internet connection and the device you are using. Note that a HD Stream requires a longer time for buffering. How can I block my events in specific countries? Log in to your Freedocast account and go to Settings page. In the left side panel select 'Geo-blocking'. To block in some countries, select 'Block Specific countries' option and select countries which you want to block & 'Update Settings'. To allow in some countries, select 'Allow specific countries' option and select countries which you want to allow & 'Update Settings'. Note: Geo-blocking is available only to Premium & Enterprise Users. Where can I check Analytics of my events? Log in/Register to your Freedocast account and to 'Analytics' tab. Select Events/Videos to view the Analytics. 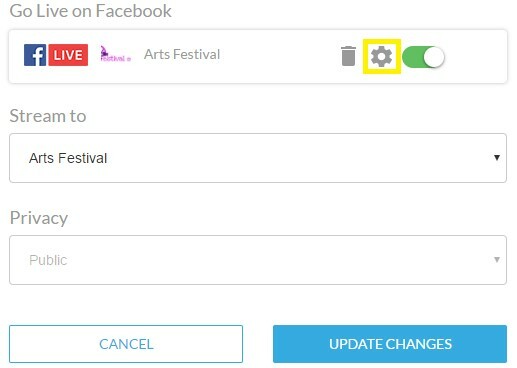 You can filter live events, catchup events date wise and video wise. How do I Password Protect events? Log in/Register to your Freedocast account and go to Events tab. List of events are shown. Under 'Password Protection' select 'On' from drop down and enter the password. To turn off select off from drop down. Note: 'Password Protection' feature is available only to Enterprise Users. Can I stream live from IP Camera to Freedocast platform? Most IP cameras use RTSP protocol, which is different from the RTMP protocol which is used to connect to Freedocast platform. To stream from an IP camera to Freedocast, you will need an intermediate step, which converts the RTSP feed to an RTMP feed and then pushes that to Freedocast platform. Is it possible to change my email address? Please contact customer care to change your email address. Yes. To change your password, go to 'Settings' page. Now select 'Change password' to edit your password. I've forgotten my e-mail address. What should I do? Please contact customer care for the same. My requirement doesn't fall under basic or premium package? No worries. Please call customer care or send an email to support@freedocast.com. Our executive will get in touch with you and provide customized plan to suit your requirements. I am unable to login in to my account? Please check if you are entering the correct password. Use forgot password to change the password and try to log in. If the problem persists contact customer care. Is it possible to subscribe to Freedocast for just 1 month? Yes, you can subscribe to Freedocast monthly plans. You can contact customer care to cancel your subscription. If within 30 days the subscription is not cancelled, the contract will be automatically renewed for another month. In addition to the monthly fee, can there be any other costs? How is my storage calculated? Your Storage cost is calculated from the peak storage used each month. Where I will receive all the invoices? How often do you send me the invoices? What happens to my account if I don't pay bill? If you don't pay a bill within 30 days, your account and its content will no longer be available. If you need assistance, please support@freedocast.com. How does the renewal of Freedocast Subscription plans work? Freedocast Subscription plan is renewed automatically at the end of the month/year. Please call customer care or send an email to support@freedocast.com to cancel the subscription. I am unable to connect mobile App to Freedocast Pro Device? If your mobile is in Freedocast Pro Device Bluetooth range. When the device is switched on it takes around 1 min to boot. Please wait for 1 min. Turn OFF the mobile Bluetooth & turn ON again. Do not switch internet connection from Wi-Fi to ethernet or vice versa while live broadcasting as it may stop the live broadcast. I am unable to preview Live broadcast in Freedocast Pro App? Please make sure your Freedocast Pro Device & Mobile are in same network. What type of network connection is needed for Live broadcasting? Live broadcasting requires reliable internet network connection which is consistent for the whole broadcast time. Wired Connection is best recommended. Other connections can be Wi-Fi, 4G LTE,3G. Minimum of 1 Mbps internet uplink speed is required for consistent broadcasting. Why my broadcast is in poor quality? Why am unable to login to Facebook or YouTube or Twitter? Please check with Facebook or YouTube or Twitter if their login services are working. Can I broadcast videos directly to my website? How do I change video privacy settings? 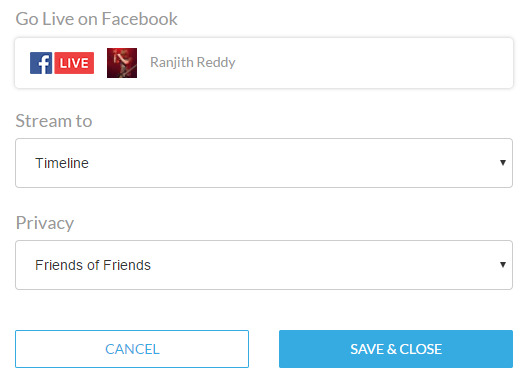 Before clicking on 'Go Live' tap on the privacy option as shown in below image. For how long I will be able to broadcast using Freedocast? Currently there is no time limit for the duration of live broadcasting. However, catchup will be formed only for only 18hrs. How can I Download my videos from Freedocast platform? I am unable to play the event videos as it says blocked in your country? I am unable to create event? Go to settings & scroll down to ‘Add Graphics’ & then Click on ‘Logo’. Now Open Freedocast Pro App. Go to settings & then select ‘Box Quality Settings’. How do I Add Scroll text to Live Broadcast? You can choose Text Color , Strip Color, Font Size. Make sure the Scroll Text feature is enabled in the platform after entering the details & click on save. Select Scroll Text & do required changes. Make sure ‘Scroll text enabled’ is ON & click on Save. *For text to scroll you need to enter minimum number of characters required as given below. Freedocast Pro Device enables you to broadcast live videos on multiple platforms like Facebook Live, YouTube Live, Twitter/Periscope, Own website or any custom RTMP Destination.